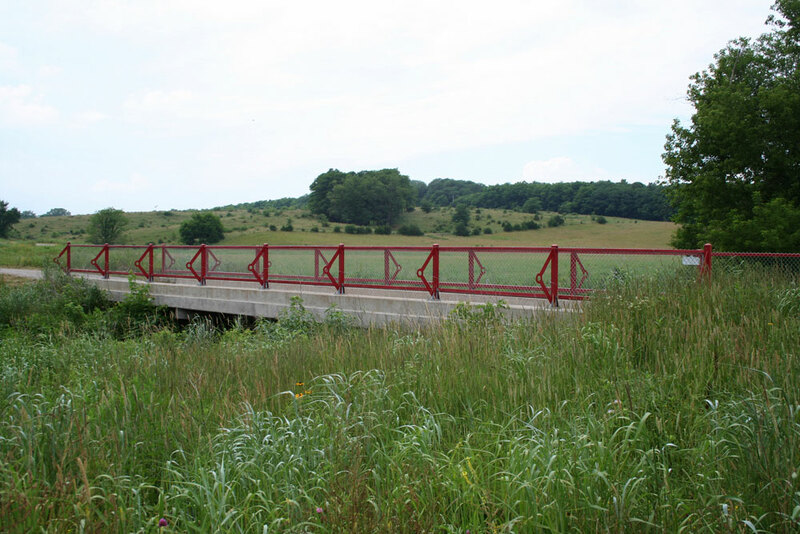 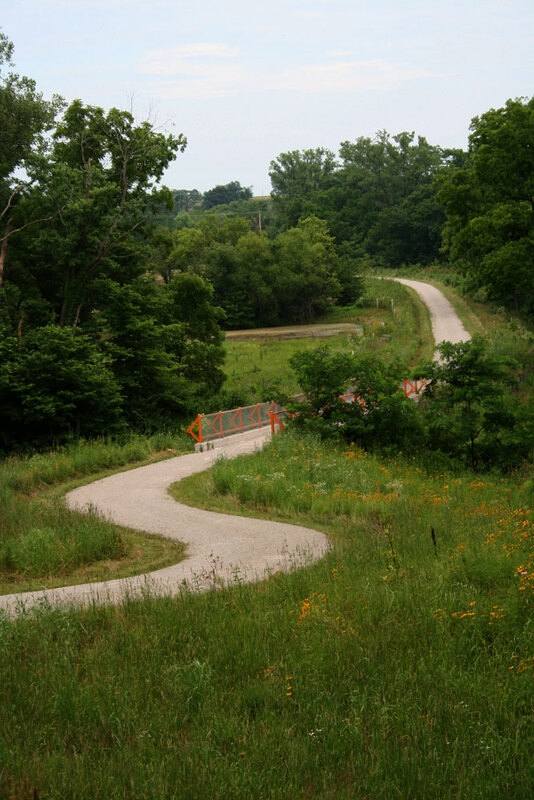 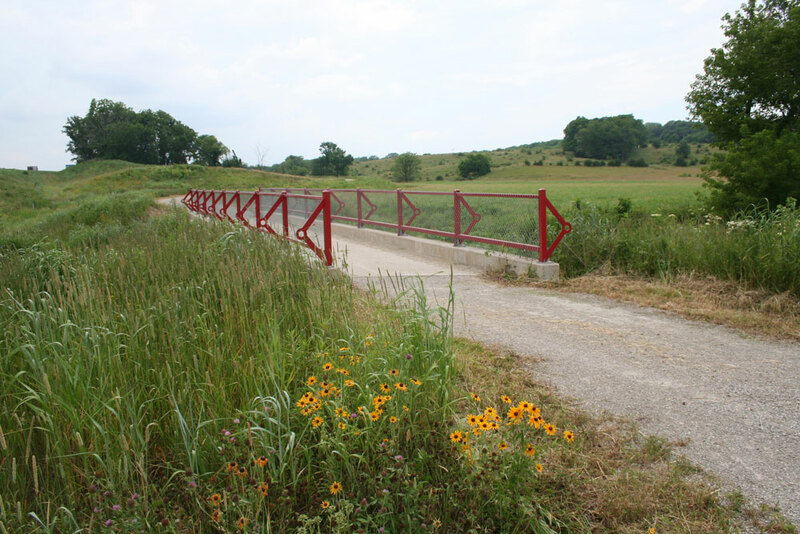 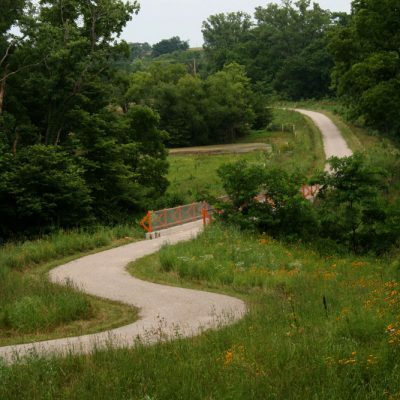 This project transforms two ordinary concrete and chain link footbridges on the South Loop of the Jefferson County Trail System in Fairfield, Iowa into exciting public artworks. 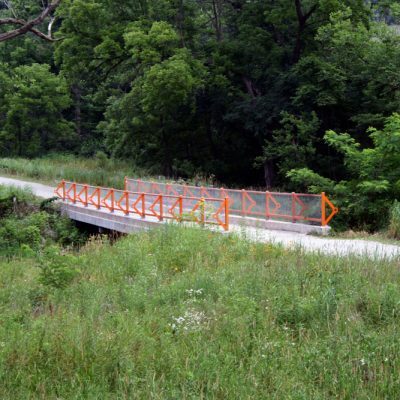 The retrofitted painted steel elements add color, dimension and liveliness to the experience of walking or riding on the trails. 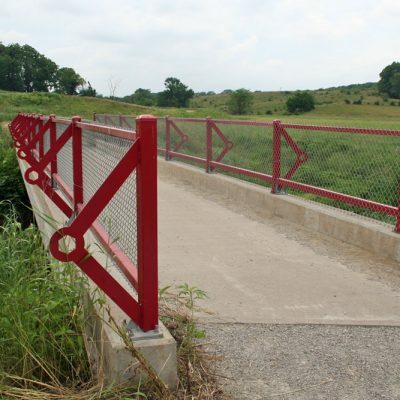 The artist worked in partnership with the Jefferson County Trails Council, Schaus Vorhies Manufacturing (fabrication, installation, creative problem solving), and Creative Edge (water jet cutting of steel shapes). 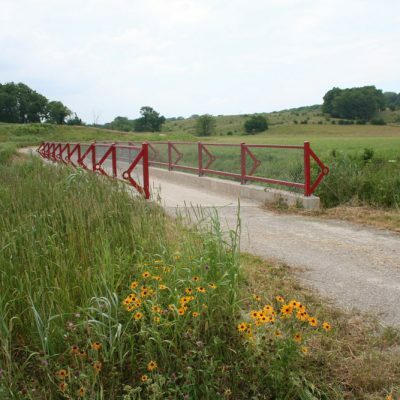 Bill Pollak gave excellent color advice and suggestions for future plantings. 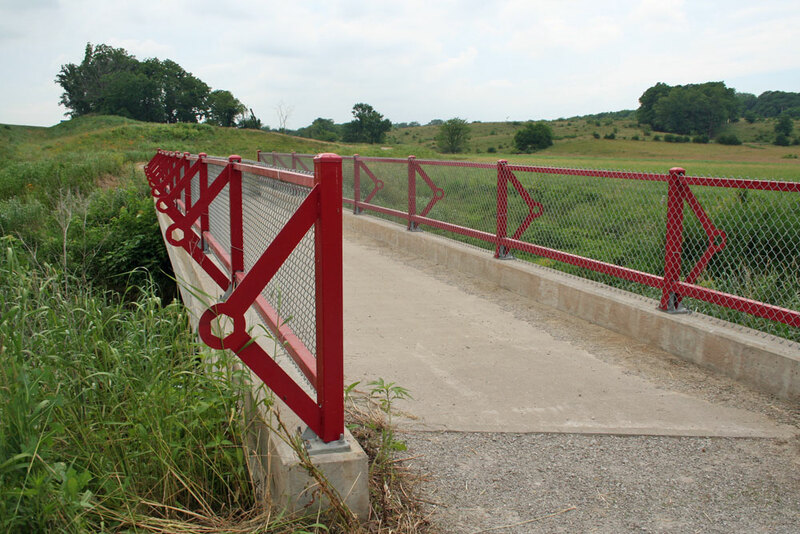 The eastern bridge can be seen from the nearby Fairfield Bypass and was painted bright red to help showcase the trail to motorists. 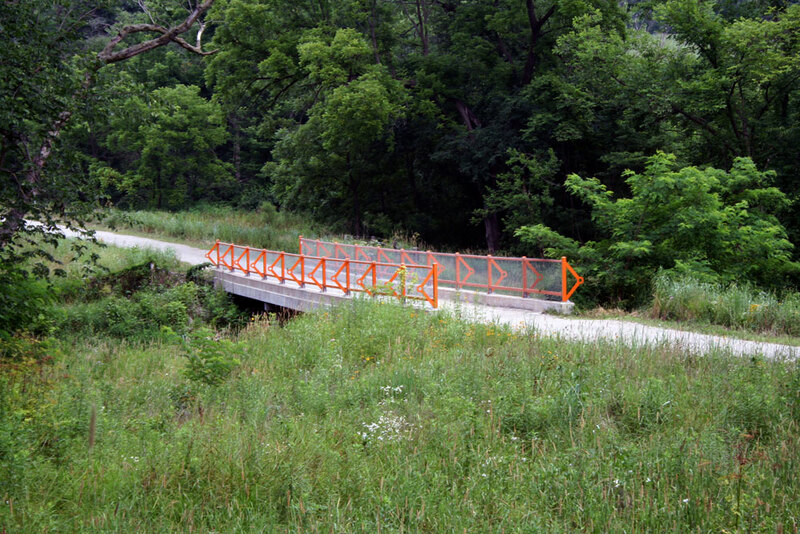 The western bridge is in a more intimate setting, and the deep yellow-orange color reflects the wildflowers growing nearby. 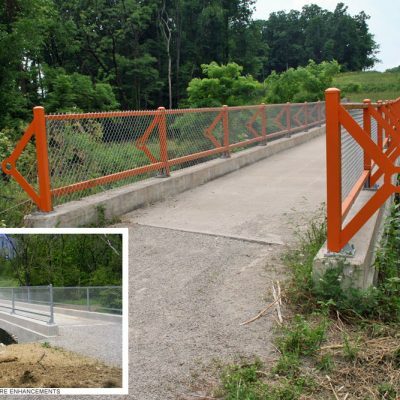 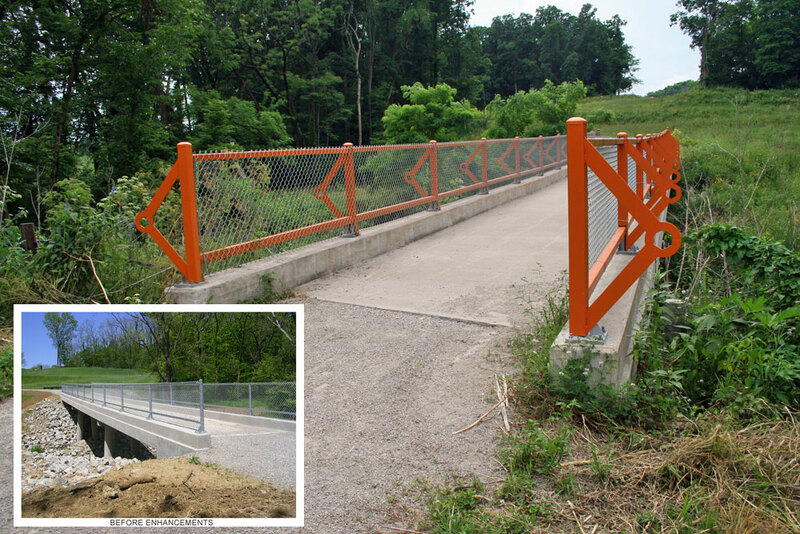 The center shape of the steel cutouts was inspired by bolts that, though functional, add an interesting decorative touch to three wooden bridges on another segment of the trail. 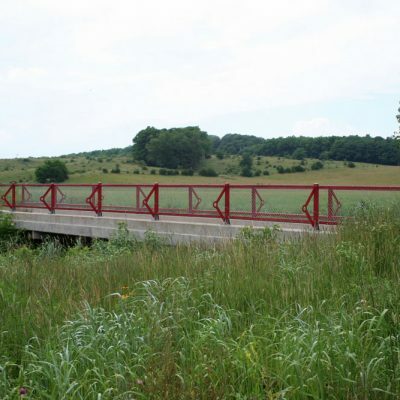 This project was made possible in part by a grant from the National Endowment for the Arts.